That’s how a recent conversation started at our dinner table. Our oldest daughter asked the question following a short discussion about recent world events. How’s that for a dinnertime conversation with your kids? A while back, I wrote a series of topics related to prepping with children. It included considering their physical needs for the future, but it briefly touched on how you discuss your reasons for prepping in a way that takes into account their personalities. Now I want to consider more thoroughly how one may go about preparing children for possible changes in their future. We probably all know people who are very negative, speaking of their spouses in derogatory terms, denigrating the coach or teacher, etc. They are unpleasant to be around and aren’t the type of people we would want to share a “survival retreat” with either. We try to set a more respectful, positive, and constructive tone in our home knowing that our children will likely emulate whatever they see and hear. We have always tried to be careful what we say in front of our children. Whatever they hear frequently will become the “norm” for them and shape their thinking and behavior. With this in mind, we try to be deliberate in not only what we don’t say, but also what we do say. It can be hard to strike a balance between responsibly “protecting” our children and “sheltering” them (which may prevent them from developing coping skills). While we don’t want them to hear grisly details about violent crimes, they do need to know the world can be a dangerous place. We don’t want them to lie awake at night worrying that the life they enjoy now may one day be permanently changed, but we believe it’s a good idea for them to be adaptable and aware of the possibilities. Joe and I often talk about why we are doing particular things (building a root cellar, for example) at dinner and answer questions the children have. We share things we have heard in the news and how the outcomes of various events (an escalation of aggression between Israel and Iran, for instance) could affect Americans. Rather than just feeding them suggestions, we also try to prompt them to think things through for themselves. We are letting them know, in as non-frightening way as possible, that global and national events are in a constant state of flux and that some events may have serious and far-reaching effects. But, more importantly, we are trying to help them prepare mentally. We feel this is critical. They must grow up to be flexible problem-solvers. They will need to make a living and have “people skills.” They need to learn to think through cause and effect, long-term consequences, alternate solutions, and the like. It’s certainly important to study history, but it’s a good idea to think about our future too. As parent teachers, we are in the best position to encourage this development. 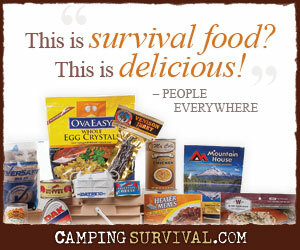 As preppers, we hope for the best and prepare for the worst. It’s good to allow your kids to enjoy their childhood, but it’s equally important to help them develop into thinking, responsible adults who are prepared to live in an uncertain world. In the next part, I will share a little more about the ways we are trying to develop these abilities in our children.